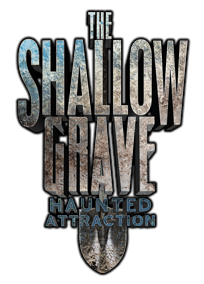 The Shallow Grave is a Haunted Attraction located in Winter Haven, FL. Forget the long lines at the big name parks, The Shallow Grave has the best in your face scare …show more factors that I have ever experienced. New year new fears. Highlight: The fine …show more detail and drop box scares of walking through a decrepit carnival and freak show stage as well as the doll-house with life-size dolls (fake and real) directly following the carnival in ADHD *Also getting pushed in to a wall by an aggressive dinosaur animatronic which was fun. In One Sentence: The attention and detail of the props and costumes was exquisite for such a small town haunt in Winter Haven, FL but what really stood out the most was the fantastic acting with the scares on point and at times no holding back on some physical interaction with the patrons.